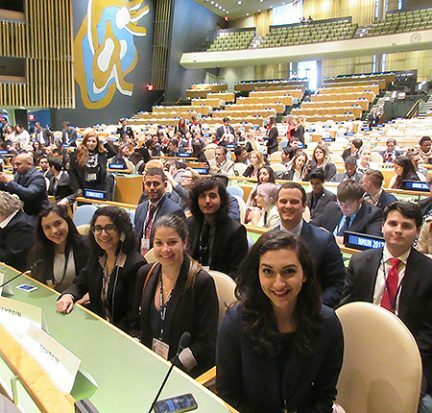 For the second straight year, Palm Beach State College’s team of students was recognized as a top performer at the National Model United Nations Conference in New York. The eight-member PBSC Model United Nations team, which represented the country of Bahrain in the Middle East, received Honorable Mention Delegation, one of three tiers of awards. The other tiers are Distinguished Delegation and Outstanding Delegation.